A 45-minute bus ride separated Anna Jessen ’17 from her internship at PitchBook Data, assuming swift stops and zero traffic snafus along the way. It was the best option available to the Kirkland resident who needed a convenient way to get to downtown Seattle during rush hour. “I was disappointed in the lack of public transportation,” Jessen recalled of her daily commute in summer 2016. The many trips back and forth on the state Route 520 bridge gave Jessen a lot of time to reflect on the transportation options for commuters in the Puget Sound region and beyond. It sparked her inspiration for the culminating capstone project that was due months later, and eventually landed her at a national conference in Memphis, Tennessee. Jessen was one of four economics students from Pacific Lutheran University to present at the 2017 National Conference on Undergraduate Research, hosted at the University of Memphis in April. The students, who graduated a month later, were chosen from a nationwide pool of 4,000 applicants, said Karen Travis, associate professor of economics. In addition to her own personal connection as a regular commuter, Jessen said her topic easily resonated with voters at the time she pursued it. 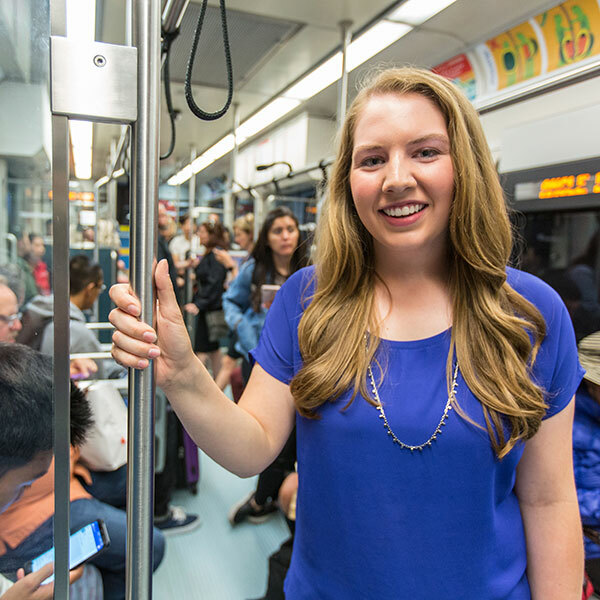 She said Sound Transit 3, a ballot measure in the November 2016 election that proposed the expansion of the regional public transit system, was a hot-button issue that added even more intrigue to her already relevant research. Jessen used statistical analysis to examine the relationship between public transportation subsidies and ridership. She acknowledges that she didn’t find a definite conclusion, and would benefit from more time and more advanced methods. But the student-faculty research process gave her the confidence to take those next steps if she chooses to continue the research in the future. She learned how to pull data from national databases and learned how to troubleshoot errors while crunching numbers. She says Travis and Matt Davis, visiting assistant professor of economics, were key players in her growth as an academic. Travis says she also learns a thing or two from her students through that mentorship model. Still, Travis said, students gain two important skills through close collaboration with experienced faculty members: self direction and practical application. The projects also help students learn more about what they hope to do post graduation. “Research can rule out or expand possibilities,” Travis said. Sara Christensen ’17 expanded her possibilities by diving deeper into the world of higher education funding. Christensen was curious why borrowers choose to default on their student loans. Nationally, she said, 28 percent of those borrowers default — meaning they haven’t made payments for at least 270 days — within the first five years of repayment. To her surprise, Christensen’s research showed that there are some instances when defaulting may be the best option. She also found that there is some back and forth about whether people who default on their loans are punished too harshly. Beyond her findings, Christensen learned a lot about independent study while pursuing her topic. Travis helped her fine-tune the research question and encouraged Christensen to pursue the national conference presentation. Christensen had completed smaller research projects for other classes, but this was the first time she authored a paper that was accepted for a large-scale presentation. Desirae Haselwood ’17 drew from her experience as a student athlete. “I looked at what skills are important to do well in professional golf,” said Haselwood, who competed on the women’s golf team. 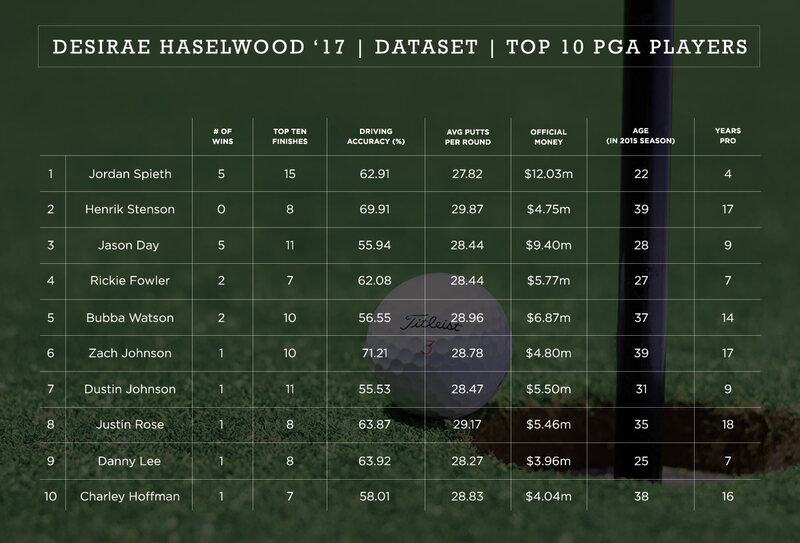 More specifically, Haselwood created a data set for the top 125 players on the PGA tour. Unsurprisingly, she found, it takes reducing the average number of putts per round. She anticipated that result; as a top golfer in the Northwest Conference, she’s spent a lot of time on the course. “It was cool to see what I thought actually happened,” she said. Travis and Chair of Economics Norris Peterson both helped Haselwood along the way, primarily with econometrics — a fancy word used to describe the application of statistical techniques on economic data. Haselwood said the independent instruction she received from both faculty members was crucial. Desiree Domini ’17 also values that bond. She studied the effect of health status on economic growth, and struggled with some of the public responses she received amid her presentation in Memphis. In her research, Domini used health indicators — statistical measures used to describe the health of a population, such as life expectancy — as the basis for her research. She examined an indicator not typically found in existing research. 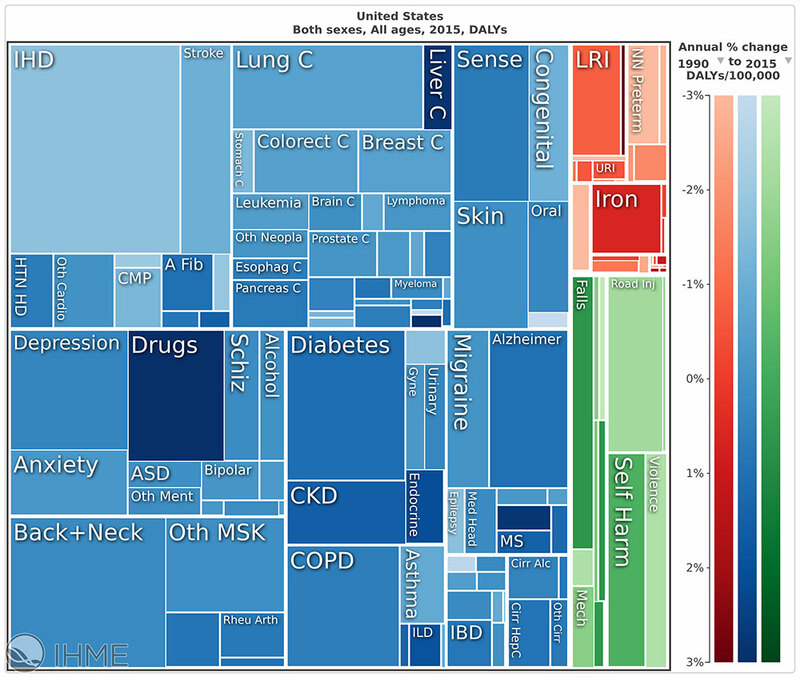 The disability-adjusted life year (DALY) is a measure of overall disease burden that allows country-to-country comparison. “I wanted to see how this one indicator varies across countries and how it impacts the economy,” Domini said. Among her findings, Domini discovered that some countries with higher gross domestic product are less affected by health status, if the most prevalent health issues in that country are ones that have less impact on keeping people out of work or at lower paying jobs. For example, a worker in the United States can still be a productive employee while dealing with arthritis. Despite the intimidation she felt at times, Domini appreciates the opportunity to share her research with others and the confidence she built with Travis’ help. Jessen agreed. Not only did the experience expand her opportunities, as Travis stressed, but it expanded her academic borders.